. : 2015 Season Results :. RICE LAKE, WI (August 1) - The rain delayed AFCO Race of Champions qualifiers were held Saturday night at the Rice Lake Speedway, with the winners automatically qualifying for the Race of Champions event to be held in September during the WISSOTA 100 at the Dakota State Fair Speedway in Huron South Dakota. The winners were Kori Richter, Shane Halopka, Curt Myers and Kevin Adams while Jason Havel won the Pure Stock event as a part of the weekly racing. The Street Stock feature was an extremely competitive event with the top eight cars running in a tight pack in a race that was slowed just once for the yellow flag. Hunter VanGilder and Richter started on the front row together and immediately, they ran side by side as they battled for the lead. Right behind them, Adam Soltis and Cody Kummer were going wheel to wheel with Jimmy Gullikson, Jimmy Randall, Sam Fankhauser and Michael Truscott all clumped tight together behind them. After a few laps of side by side racing, Richter was able to edge in front as he ran the top side of the track while VanGilder tried to come back at him. Randall and Kummer were really going at it for third with Randall finally able to edge into that position. Richter was able to stretch his lead to a few car lengths as he adjusted his line through the corners while behind him it was still a constant war for every position. As the laps started to run down, Richter was steering his way past the lapped car of Jason Nelson when Nelson lost control, was tagged by another car and he flew head on into the front stretch wall very hard. Fortunately, he was not injured but the car was much the worse for wear. The race was restarted with four laps to go and Richter once again stepped away from the field. Kummer, however, took advantage of the restart the most as he got inside Randall for third and then charged toward VanGilder. With a strong move off turn four, he got to the inside of Hunter and took over the second spot. That's the way they finished, with Richter earning his third feature win of the year at Rice Lake while Randall and Jim Gullikson completed the top five. Richter maintains a very high win percentage as his three wins have come in only four outings with his new car. In the Midwest Modifieds, Halopka continued a strong streak of performances that have seen him win the last five feature races he has entered over the last two weeks at the three area tracks. His win Saturday was his second in a row here and was done in very dominant style. Halopka started in the second row but Michael Truscott started on the pole and figured to give Halopka plenty of competition. Truscott did lead the first few laps but Halopka got up on the cushion and blew past Truscott to take over the lead only a few laps into the race. Once in front, Halopka controlled the pace and was not seriously challenged the rest of the event. One yellow flag bunched this race also, and following the slowdown, Halopka once again pulled away. Truscott ran a strong second but was not able to mount a charge on the leader while also finding that no once could challenge him for second. The best race was for third where Travis Anderson made a late race pass to take the spot from Kent Baxter while Joe Chaplin Jr. completed the top five. The win was Halopka's fourth of the year at Rice Lake for the current national point leader as the current national runner up, Truscott, could not stay with him on this night. Myers put in a strong performance to win the Super Stock feature, a race that saw some intense three wide racing early in the contest. Jim Cimfl got off to a good start as he edged past John Erickson to lead the first few laps while Myers, Mike Anderson and Eric Olson all raced toward the front. Cimfl continued to hold the edge over Olson but Anderson drove to the low side of him and Myers up on the cushion and the three raced three wide before Myers made the top side work for him. He continued his charge as he roared past Cimfl and took over the lead. Myers continued to run the top side and with the last fifteen laps running nonstop, he was able to build up a nice sized advantage. Anderson eventually worked his way past Olson for second and toward the end of the event, began to cut into the lead Myers held as the top side seemed to start to slow up and Anderson stayed on the charge, but ran out of laps before he could make a serious bid. Olson finished a solid third with Jason Forehand charging early, only to settle back and run fourth most of the race. Scott Zitelman made an impressive charge as he started last in the field and moved up to a fifth place finish, getting by Bart Steffen in the late going. For Myers, it was his seventh feature win of the year at Rice Lake, tops for all divisions. Adams took his fifth modified win of the year at Rice Lake, and garnered a place in the RoC event at the same time. He outfought Kerry Halopka in the early going to take the lead with Mike Anderson battling past Mark Hessler to take over second as they split Halopka for positions. Adams was running the high side but Anderson started to pick up the pace running on the bottom and Adams was forced to adjust his line to protect his lead as Anderson put the pressure on near the halfway point of the race. A restart after a lap twelve spin proved ugly as the double wide pack, leaving turn four, saw the leader apparently get turned sideways where he spun in front of the entire inside row, which then stacked up one behind the other, leaving a massive pileup and triggering the red flag. Eliminated in the wreck were Matt Leer and Scott Miller with the others able to run, some with damage to sport. Adams got the lead back on the green, with Halopka making a strong move and taking over second from Anderson. Adams was able to stretch his advantage the rest of the way, coming home without a challenge. Anderson put the pressure on Halopka near the end, but the rookie held on for a strong second place run. Steve Hallquist came from deep in the field to finish fourth and Buddy Mayala recorded his first top five finish of the year. Havel won a division best fifth feature win as he came from the second row to drive past early leader Nick Traynor and then hold off a hard charge from Shawn Amundson. After Amundson got turned on lap two, the race went nonstop to its conclusion with Havel maintaining a solid cushion over Amundson, who passed Traynor for second. C.J. Wagner came from the back of the pack to finish fourth and Austin Workman, smoke flying from his car, earned his first top five finish of the season. 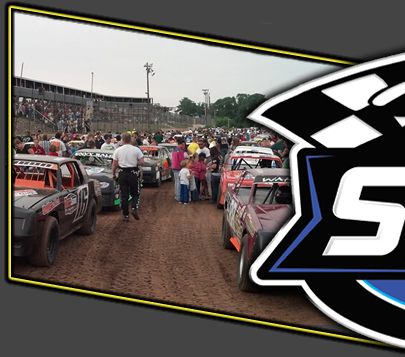 Attention now turns to Tuesday night, August 4th for the annual running of the Street Stock “Little Dream” race, the best known race on the track's annual schedule. Last year, Tim Johnson from Brainerd Minnesota was over $12,000 in this race and race officials are hopeful that this incredible record can be shattered once again this year. Pre entries have been received from North and South Dakota, Manitoba as well as Minnesota and Wisconsin and the record of fifty eight entries, set last year , is hoped to also be challenged. The premise of this race, where individual fans and businesses help pad the purse by putting money on finishing positions, has not changed since the race was first conceived, and such wild scenarios as money for the first flat tire, first car out of the race, first non Chevy etc, still flourish, making this not only a spectacular racing event but an entertaining night as well. As far as track officials can determine, this is the highest paying Street Stock race of its kind in the entire country and is now starting to receive some national notice in trade publications. Along with the Street Stocks, the modified will also run a complete racing program and with this being an off night for most racers, some out of town cars are also expected in this class. The modifieds will be running under the point invert system for this event. Warmups are slated for 6:30 p.m with racing to follow. The advance weather forecast looks favorable but if the race should happen to get rained out, Wednesday, August 5th is the rain date. 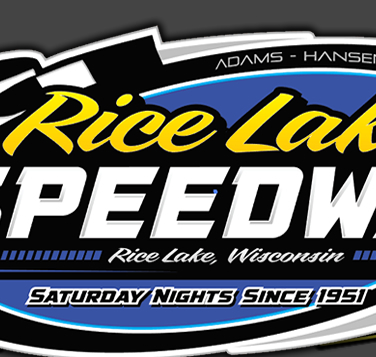 The Rice Lake Speedway is located one mile north of Rice Lake midway between state highway 48 and Barron County SS. 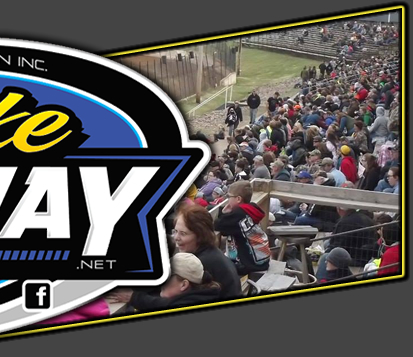 The track phone number is 715-236-2002 and for more information, either call Dave Adams at 715-205-2861 or check the speedway website or facebook page. 12 lap Feature – Jason Havel(Rice Lake), Shawn Amundson(Rice Lake), Nick Traynor(Barron), C.J. Wagner(Rice Lake), Austin Workman(Barron), Brent Miller(Cameron), Mike Grover(Chetek), Robert Holmstrom(Rice Lake), Zach Beaulieu(Chetek).